Ford Motor Co. passed on a TV commercial during the Super Bowl. But it did broadcast commercials during the big game -- on radio -- to pitch service at its dealerships. In short, the company passed on a giant brand promotion in a TV commercial during the game in favor of touting everyday vehicle service at its 3,200 franchise dealerships. Ford bought several spots during radio network Westwood One’s exclusive national radio broadcast of the game. The broadcast went out to millions listening on more than 700 stations nationwide. 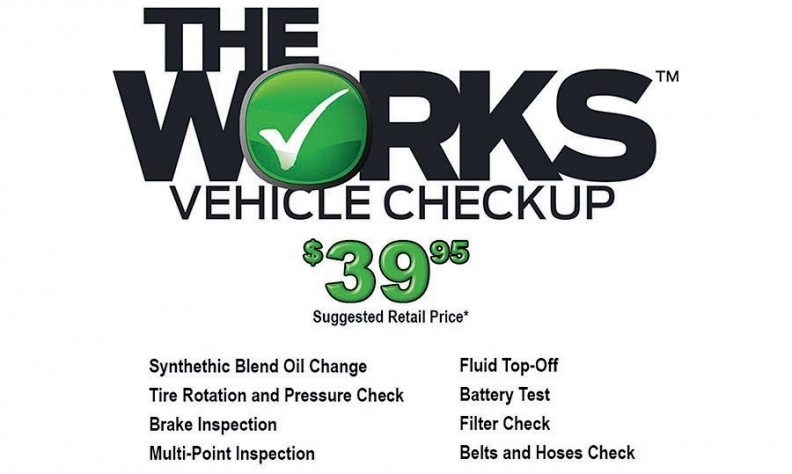 The spots promoted a $10 mail-in rebate at Ford dealerships for The Works, a maintenance package that includes oil change, tire rotation and checks of batteries and belts and usually retails for $39.95. A Ford service website said the mail-in offer is valid through March 31. Ford did not have a commercial this year during the TV broadcast of the Super Bowl on NBC or the pre-game show. The TV broadcast drew a record 114.5 million viewers, and was the most-watched TV show in U.S. history. A year ago, Ford ran back-to-back TV commercials during Super Bowl pregame programming, highlighting the mileage of the Fusion Hybrid sedan. This year, Ford did not have a TV commercial during NBC’s broadcast of the game or during the pregame show. The broadcast drew a record 114.5 million viewers and was the most-watched TV show in U.S. history. The Super Bowl broadcast coincided with the timing of the promotion for The Works, said Ford spokeswoman Angie Kozleski. Consequently, it fit with the radio and cable TV focus of the campaign called the Annual Winter Ford Service Sales Event, Kozleski said. The Super Bowl “is part of a larger strategy,” she said.